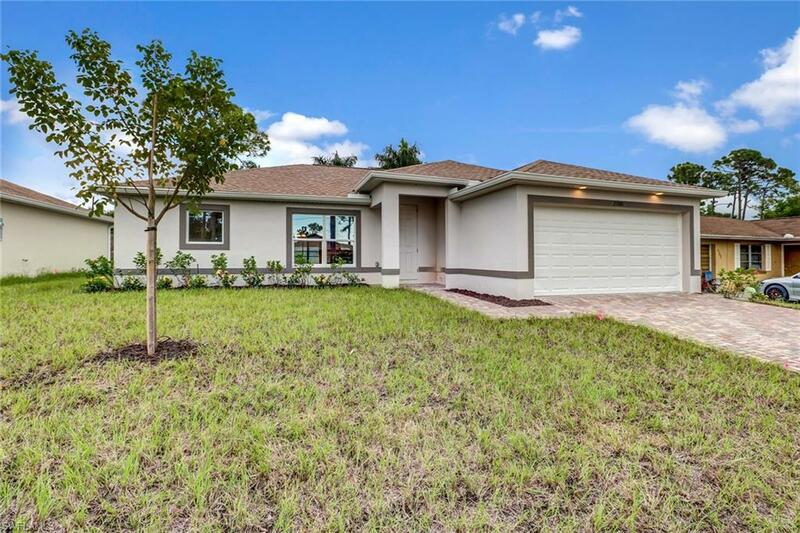 27081 Jackson Ave, Bonita Springs, FL.| MLS# 218082383 | Southwest Florida Residential Real Estate for Sale. AMAZING FULLY FINISHED MOVE-IN READY HOME! **AMMENITIES GALORE!**TILE!**QUARTZ!**STAINLESS! **CUTOM KITCHEN! **CUSTOM BATHROOMS! **BRICK PAVERS! **SCREENED LANAI! **LIVE IN STYLE WITH AN AFFORDABLE PAYMENT! **Split floor plan, soaring vaulted ceilings, custom tile floors covering 100% of the home, incredible kitchen with quartz, solid wood raised panel cabinets, wine rack, island, custom lighting & high end stainless appliances! Master bedroom has tray ceiling, bath features matching custom cabinets, quartz top, dual sinks, a private toilet, and incredibly huge walk-in shower with gorgeous custom tile! Guest bedrooms are nice size and feature tray ceilings. Guest bath has matching cabinet w/ tile, mirror, lighting, and tub with beautiful custom tile. Laundry room features washtub. The driveway and lanai have brick pavers. Includes a 2 year/10 year builderâs warranty. WOW!